Fangirls, as I’m sure you’ve noticed, I’m a rather recent fan of Ratchet & Clank. I only played my first of their games a couple months back, and I instantly fell in love. It’s very Jak & Daxter, but far more family friendly. Given my love of the games, I was very excited when I saw that there was a movie being released, so when I last saw my boyfriend (the dude who introduced me to Ratchet & Clank), we had to go see it together. I had a blast watching the movie. My body was tired from hours of sitting in the car, so I was very fidgety, which may have messed with Rob’s viewing, but I loved it. From start to finish, it was just like playing a game with the same title. 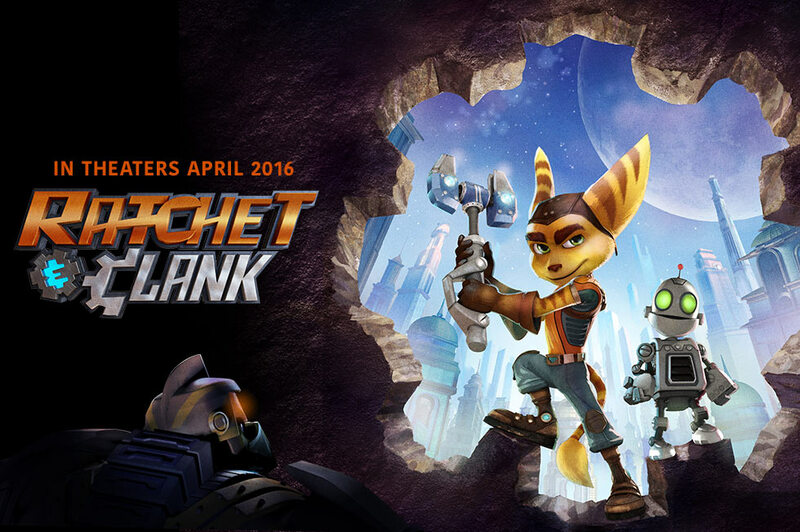 We join Ratchet as he dreams of becoming a part of Captain Qwark’s crew. He is denied, but soon meets a robot who is a defective reject of Doctor Nefarious’. The robot (Clank) warns Ratchet of the impending invasion that Nefarious is about to launch, and it’s up to the two of them to warn Qwark’s and save the day. The movie continues after that, but I’ll leave this spoiler free. I highly recommend this movie as it’s fun and appropriate for all ages, and just a generally good time. It feels a lot like playing through one of the Ratchet & Clank games, which was great. Plus there are some (incredibly brief) appearances of characters from 2 other Sony Exclusive games (Sly Cooper and Daxter both appear on screen for a couple of seconds while Ratchet is doing research. Go see Ratchet & Clank, you’ll love it.